Farm and Dairy file photo. HARRISBURG, Pa. — The Pennsylvania Milk Marketing Board approved an order Sept. 18 to maintain the over-order premium at 75 cents per hundredweight, effective Oct. 1, 2018. The premium pricing order, which will remain in effect through March 31, 2019, is assessed on Class I (fluid) milk that is produced, processed and sold entirely within Pennsylvania. The diesel fuel add-on to the over-order premium will continue unchanged. “The consequences of setting the premium higher could possibly yield a negative for Pennsylvania farmers, a group the premium is supposed to help,” Barley said. During a hearing before the board earlier this month, Pennsylvania Farm Bureau was one of the group’s offering testimony calling for the price to remain unchanged, despite the difficult circumstances faced by many dairy farmers across the state. “The dairy industry is in dire straits and Farm Bureau would like to ask for a higher premium, but we are realistic about the current challenges of moving milk,” said Somerset County dairy farmer Glenn Stoltzfus, who is a member of Farm Bureau state board of directors and chairman of its state dairy committee. Pennsylvania’s dairy industry accounted for $28.31 billion of economic impact in 2017. 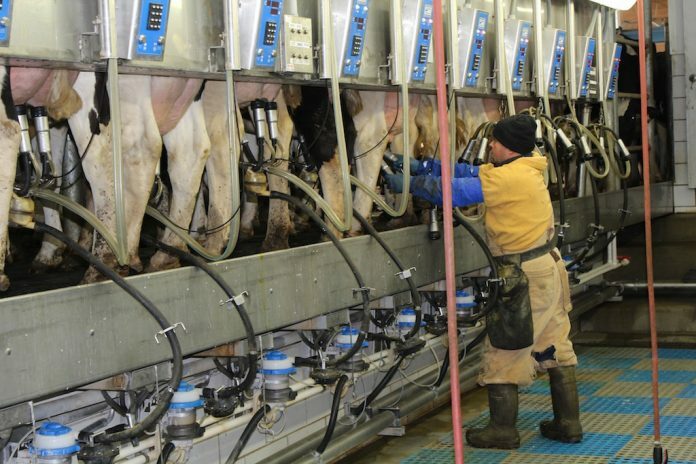 Of that, Pennsylvania dairy exports accounted for a $788 million economic impact. A copy of the order is available on the board’s website at www.mmb.pa.gov.